A new video released by “Jew in the City” attempts to dispel the many pre-conceived ideas regarding Orthodox Jews. The video, which can be viewed on YouTube, highlights the many contributions of Orthodox Jewish figures and attempts to dispel the pre-conceived notions and prejudices that often come to dictate public opinion of observant Jewish individuals. Titled “Orthodox Jewish All Stars”, the video features testimonies by senator Joe Lieberman, novelist Faye Kellerman and former basketball player Tamir Goodman, among others. 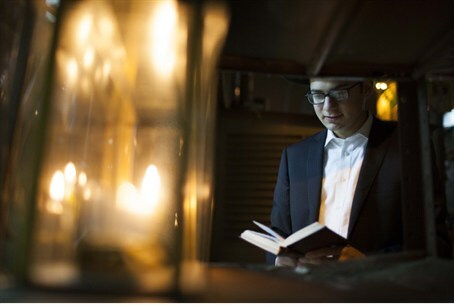 “Unfortunately, most non-Orthodox Jews and non-Jews have a very negative perception of Orthodox Jews and Judaism,” reads a statement on the organization’s website. Founded in 2007 by Jewish outreach professional Allison Josephs, "Jew in the City" attempts to break down these negative perceptions by utilizing YouTube videos, blogs, Q&A's, and articles in traditional print media.